Ewa grew up in Upper Silesia, the largest industrial area in Poland. Being raised in a landscape of steelworks and coal mines, naturally directed her interests towards industry and its influence on the life surrounding her. Wrought iron gates or floral cast iron elements of architecture – She was fascinated by the blend of the artistry and the weight they carried. Ewa fell in love with the fire and forge; two great forces of change and creation. This love led her to discover the phenomenon of jewellery; a perfect symbiosis of art, metalsmithing and engineering knowledge. After graduating in mechanical engineering, she moved to Sweden. Living close to nature and slowing down the pace of life gave a new perspective on her interests. 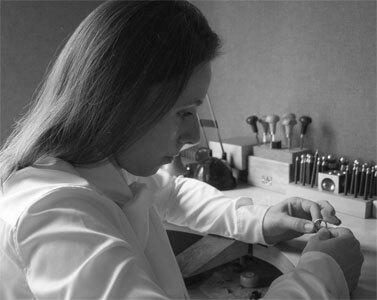 Ewa merged her love for jewellery, and passion for metalwork and engineering, and established her own company. Ewa's world has changed and creating objects of beauty has become her life´s passion. Ewa's first pieces were strongly influenced by decorative and monumental ironwork – the artistic splendour of fine scrolls and lines, with the passing of time the world around her, the beauty of Nature, became involved in her designs. 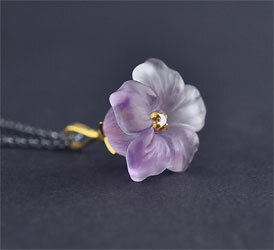 Today Ewa's pieces of jewellery are inspired by moments she has spent in the gardens and nature. 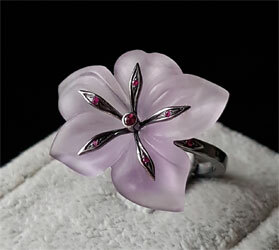 They comprise reminiscent of the alluring beauty, symbolic language and secrets hidden behind the delicacy of flowers. Each piece of Ewa's jewellery is entirely hand- crafted, -carved in precious metals and gemstones. She finds that combining traditional old jewellery techniques perfectly underlines the distinctive quality in my pieces. Ewa loves the slow and time consuming process in the making of her jewellery, resulting in intricate floral patterns and unusual surface textures. It is the precise balance of colour and techniques that ensures the uniqueness of her jewellery, which is why personally cutting, carving and selecting the gemstones for their - shape, size, fineness, colour and cut, lends significance and meaning to each piece. 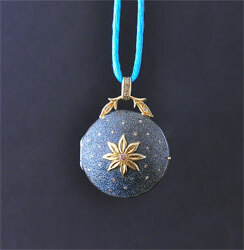 Ewa's collection includes one-of-a-kind collectable pieces that reflect her appreciation of individuality and uniqueness. Each piece has its own personality and story to tell.